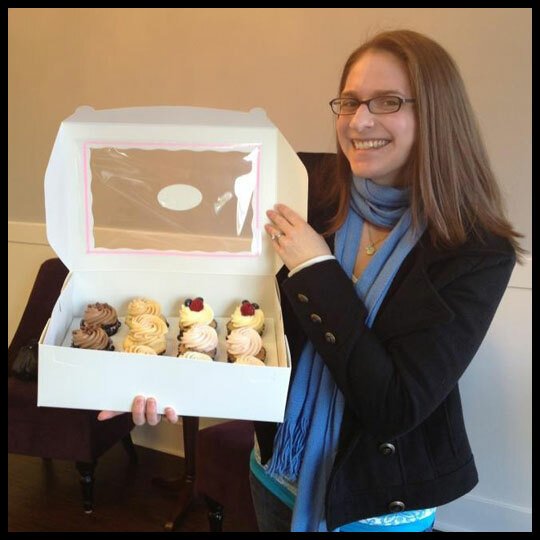 If you follow us on Facebook, you may have seen that last week I won Sweet Hearts Patisserie‘s contest! I rarely win anything, so for a long time that discouraged me from entering contests, but then I heard the phrases, “Gotta play to win,” and, “Someone has to be a winner!” Now, I participate in more blog giveaways and Facebook contests, and it has paid off! By guessing the correct number of Easter eggs in a basket, from a photo that Sweet Hearts Patisserie posted on their Facebook page, I won a dozen cupcakes! The best part of winning a dozen cupcakes was the opportunity to spend the afternoon in Annapolis, having lunch with my dad and in-laws, while sharing my winnings. My mom-in-law loved the Lemon Berry cupcake we’ve tried before, and my dad enjoyed his Chocolate Silk cupcake just as much as the last time. The French Vanilla, Salted Caramel, and Strawberry Cream cupcakes were new to both my dad and I. My dad and I both agreed that, while the vanilla cake was very dense, it was still moist and full of flavor. The frosting was equally as delicious and creamy, like vanilla ice cream. My dad left the Salted Caramel cupcakes to me because he isn’t a fan of the flavor combination. 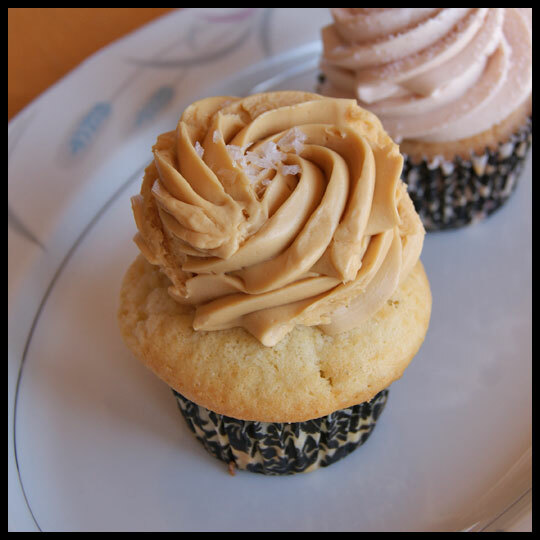 This cupcake used the same vanilla cake, topped with salted caramel frosting and sprinkled with sea salt. Just like all of their frosting, it was smooth and buttery. 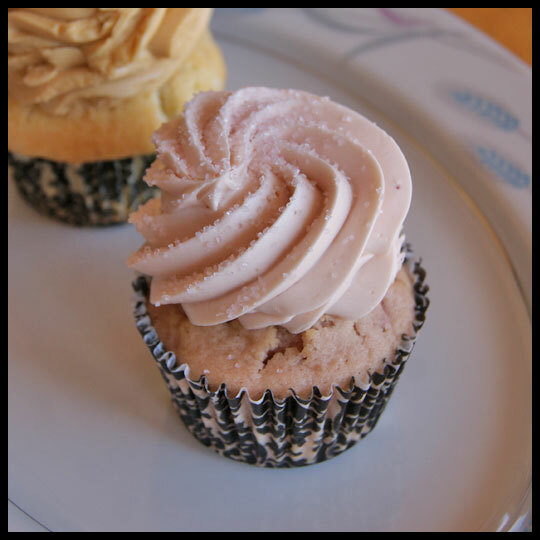 The Strawberry Cream cupcake had a fresh strawberry cake, topped with strawberry buttercream. The cake was incredibly moist and the frosting tasted like a strawberry milkshake. 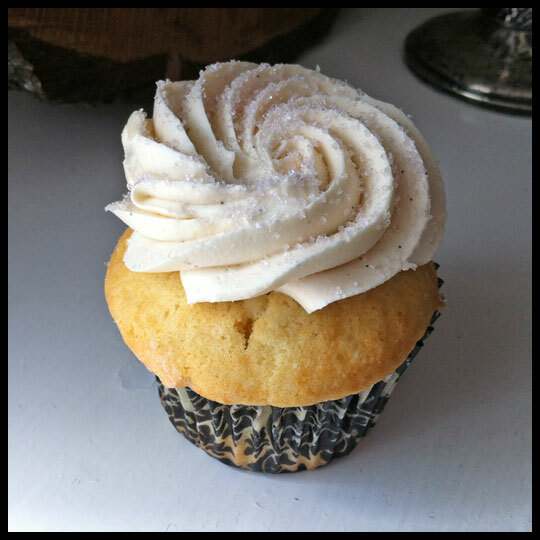 I’ll be dreaming about this cupcake! Sweet Hearts Patisserie’s Easter contests didn’t end last week. The Easter eggs used in the guessing game were hidden in Downtown Annapolis last Friday…all 105 of them! The eggs contain a slip of paper entitling the holder to a free treat, so if you find yourself downtown keep your eyes open (or just head over to Sweet Hearts Patisserie for an Easter treat…that might be easier than hunting down an egg)! Easter is a holiday I look forward to all year, not only is it an important religious day to me, it also boasts time with family and friends, fantastic food, and chocolate bunnies. 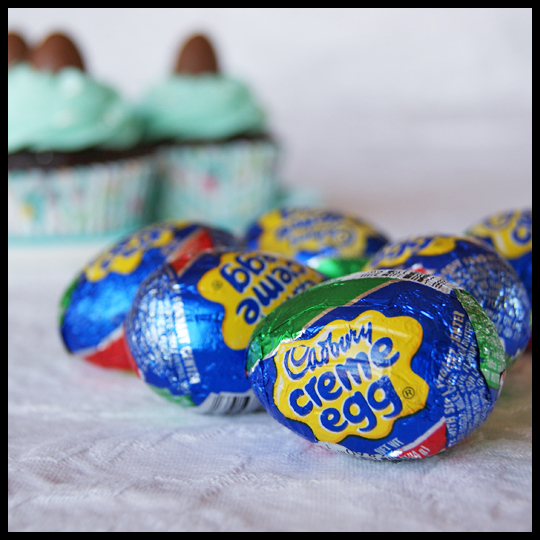 This year, like always, I headed down to my parents’ house to spend some time with them and of course I could not come empty handed – so I brought some Easter cupcakes from IcedGems with me to share! 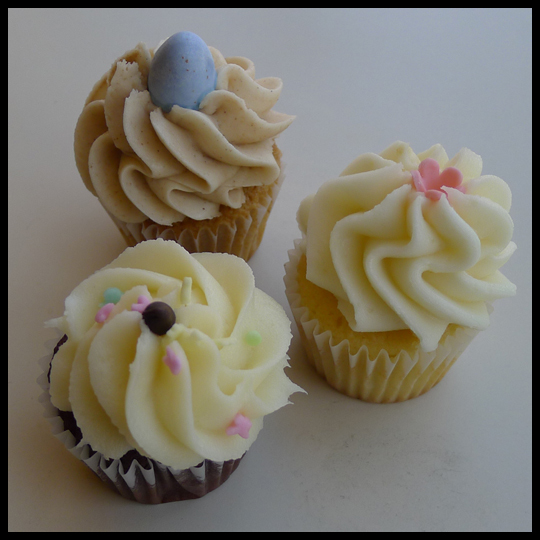 Rebecca also shared the mini cupcakes – sweetly decorated for the upcoming Easter Sunday and equally as sweet tasting – with me and her staff. On Saturday I made the hour+ trek to my parents’ house, and they were not shocked when I showed up with IcedGems cupcakes. My Mom loves vanilla and my Dad loves chocolate, so there was something for both of them! With there being a “Birthday Cake” vanilla cake with Madagascar bourbon vanilla buttercream icing, I knew my Mom would want to try that one first! 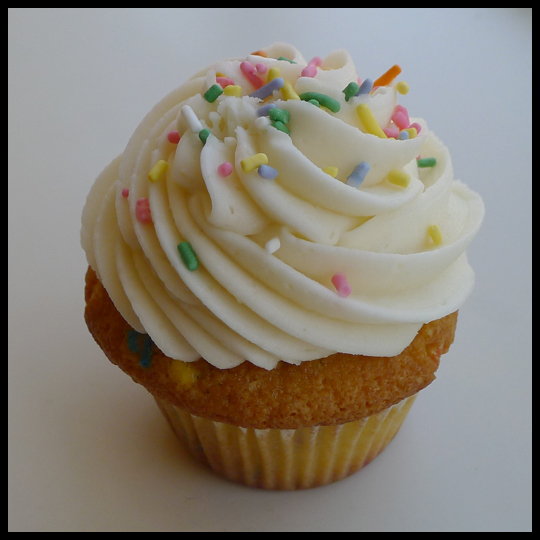 I’m not always into the basic flavors, but this is a cupcake I am happy to eat again and again. Mom agrees too! The lemon cupcake was divine! 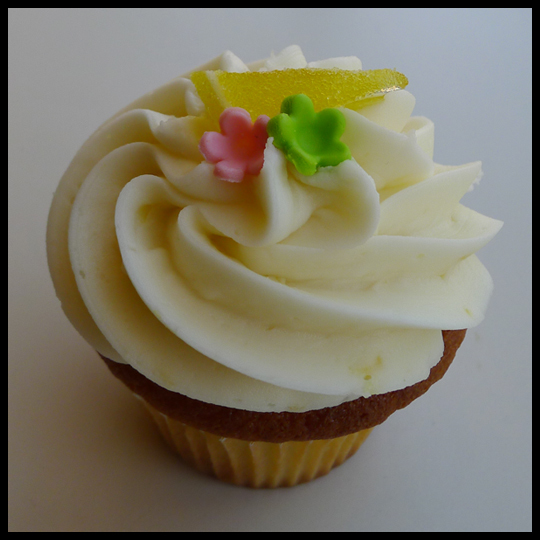 I love true citrus flavor and this cupcake was no citrus joke. It was very tangy and tart – maybe too much for some people, but not me. 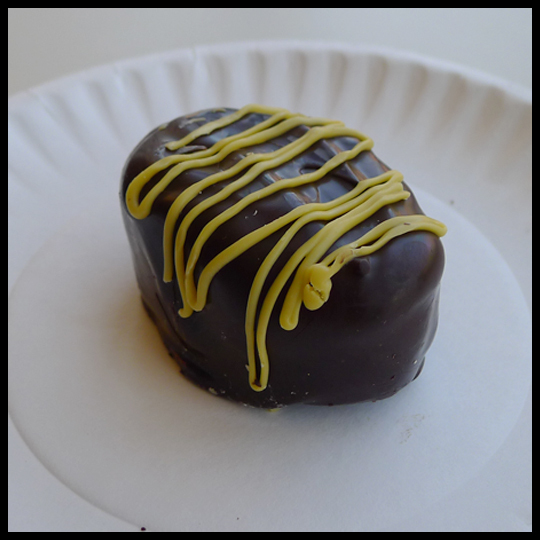 I loved the color of the cake and the flecks of lemon zest in the icing. 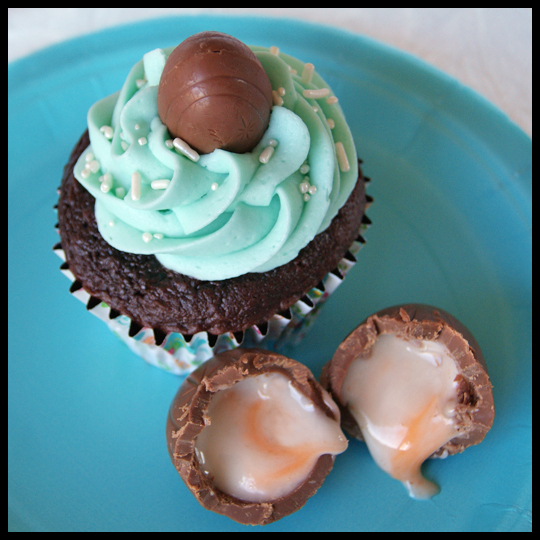 I love IcedGems S’mores cupcake, but add a Peep and you’ve got a combination that I cannot resist! 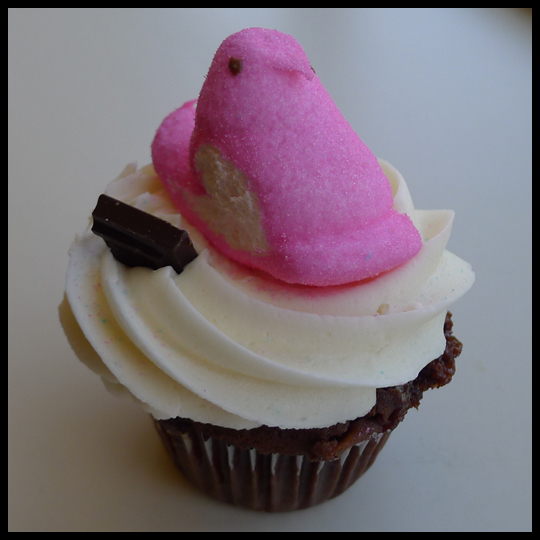 Peeps are such an Easter tradition, I love how they were incorporated into a flavor that marries so well with having a sugar coated marshmallow chick on top. And of course, I enjoyed eating it too. Simply put: This cupcake is a chocolate lovers dream. 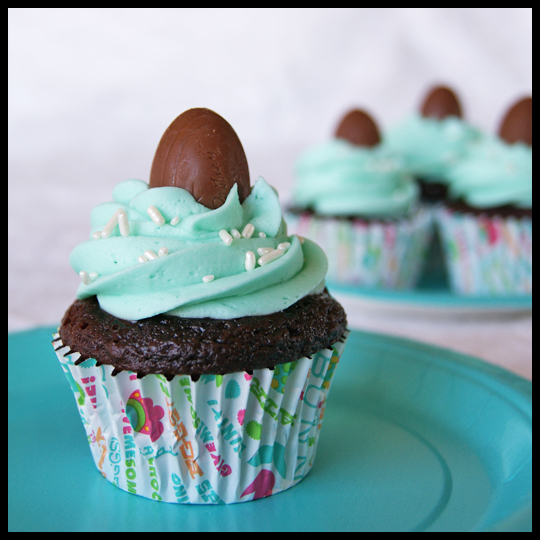 And the egg candy toppers were a cute touch, had they been the same color I would have thought they were bunny ears sticking out of the ground. I’m always impressed with IcedGems ability to have consistently good flavors, moist cake, delicious icing, and great decorations. The fact that they have special deals, like our Valentines Day treats and Easter treats, and take custom orders is great for a cupcake lover who wants to share with others. 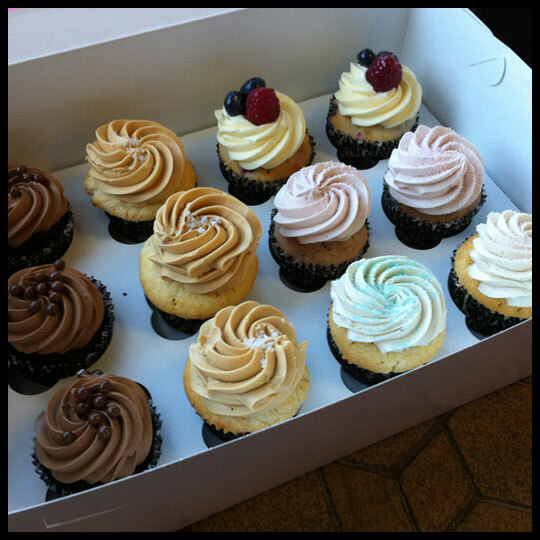 It almost doesn’t feel like a holiday to me without IcedGems cupcakes! 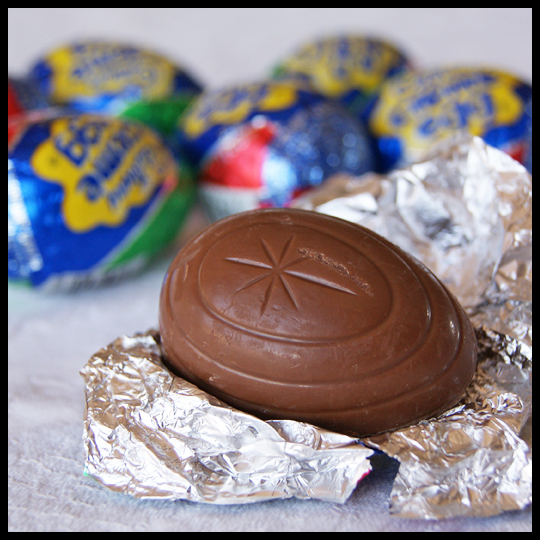 I’m so glad I could bring some home to share with my wonderful family, on a day as special as Easter. 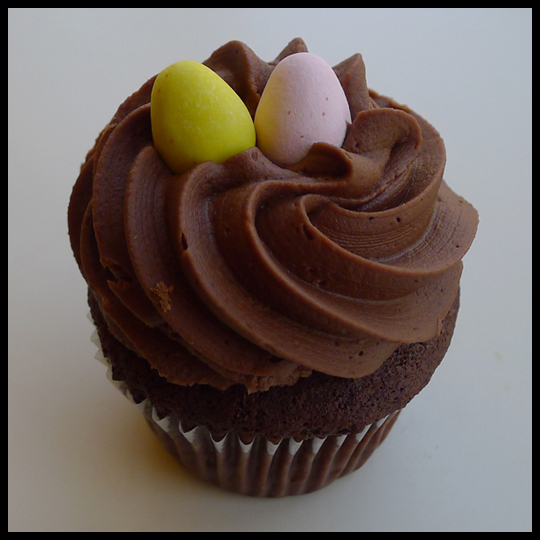 No need for chocolate bunnies when you have yummy cupcakes! Did you have cupcakes this weekend? 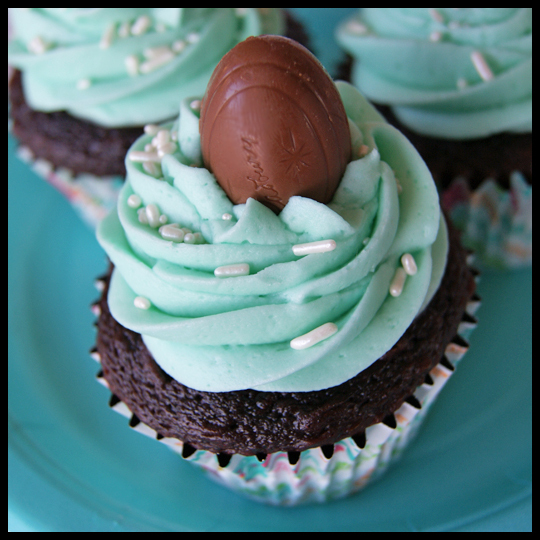 Or perhaps you made some to share with your friends and family – did you decorate them in Easter decor?